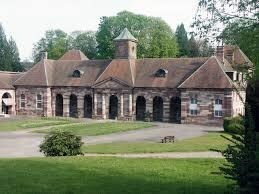 C'est sous le règne de Louis XVque fut construit l’actuel bâtiment d'architecture classique en grès rose des Vosges : l'établissement est inauguré en 1768. La ville cède la concession à l'État en 1853. Napoléon III remarqua le lieu et y passa une saison avec l'impératrice Eugénie en 1856. Bien qu'il ait préféré Plombières les Bains, sa visite contribua fortement à relancer la station de Luxeuil, qui devint rapidement à la mode. 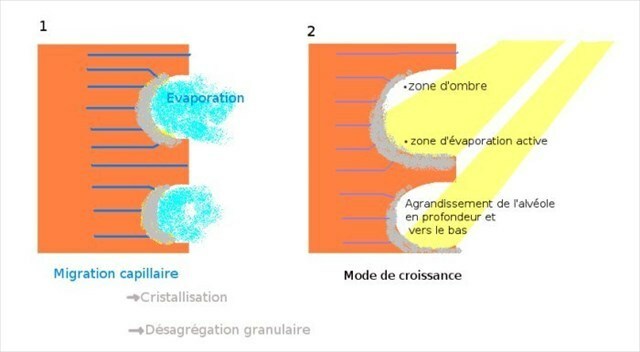 Question n°2 Combien de grands types d'alteration du grès connaissez vous ? 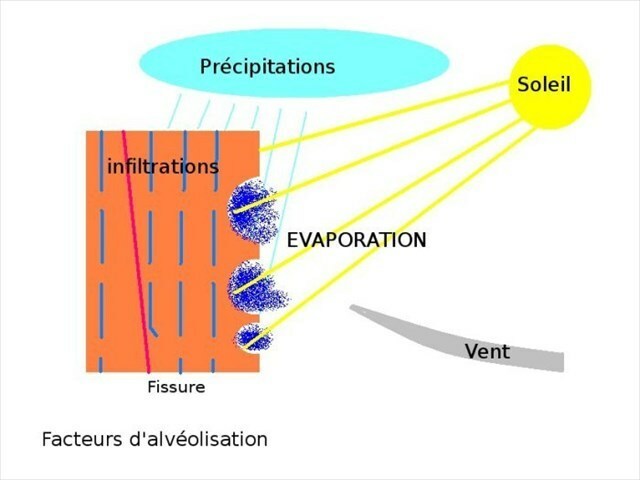 Question n°3 Au niveau du panneau (WP1): De quelle nature sont les sources thermales qui sortent au niveau des fissures ? Qu'est ce qu'ont perfectionné les romains ? 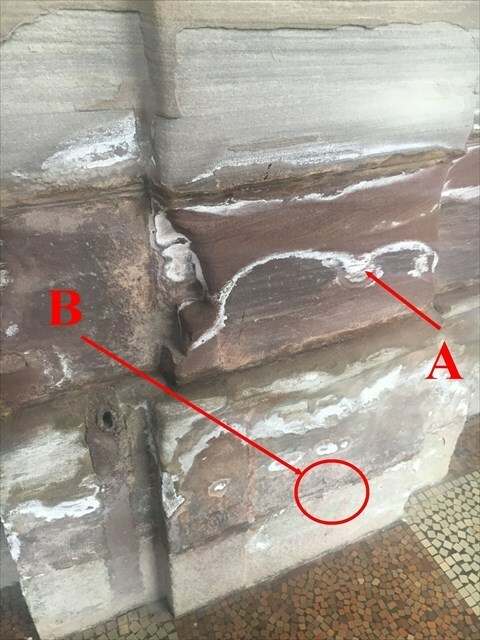 Question n° 4 Dans la galerie principale du batiment (WP2) , vous pouvez observer un véritable catalogue de dégradations. Definissez chacune d'elles de A à G et justifiez vos réponses. 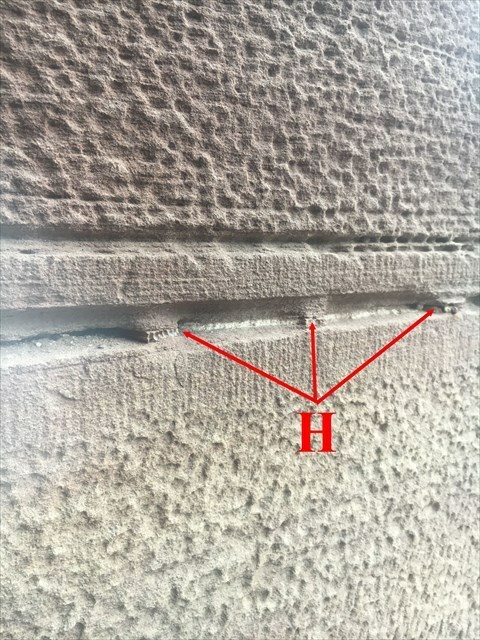 Question n°5 Pour les alterations "H", emettez une hypothese qui pourrait expliquerle phénomène de difference d'alteration de part et d'autre du bois. It was during the reign of Louis XV. The current building of classic architecture in pink sandstone of the Vosges: the establishment was inaugurated in 1768. The city yields the concession to the State in 1853. Napoleon III noticed the place and spent a season there with the Empress Eugenie in 1856. Although he preferred Plombieres les Bains, his visit contributed greatly to relaunch the station of Luxeuil, which soon became fashionable. Sandstones are detrital sedimentary rocks from the consolidation of sand, usually quartz, by natural cement. 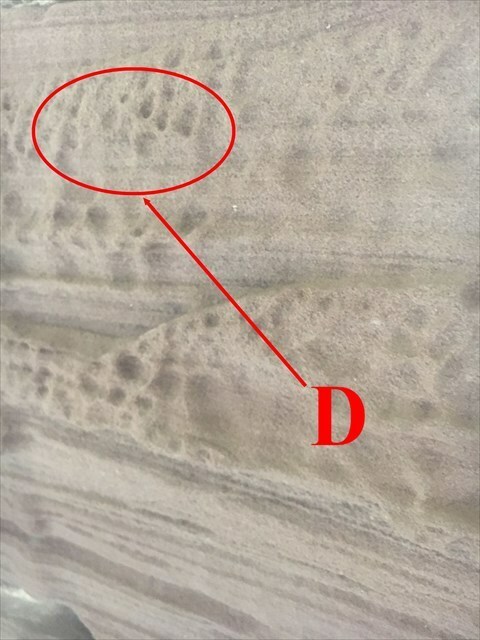 The sandstone elements belong to the particle size class of arenites (from 2 mm to 0.05 mm); below this dimension, there are lutites, also called pelites. Some red sandstones in geological series have aroused interest because they are good cartographic landmarks and because they testify to particular conditions of deposit. 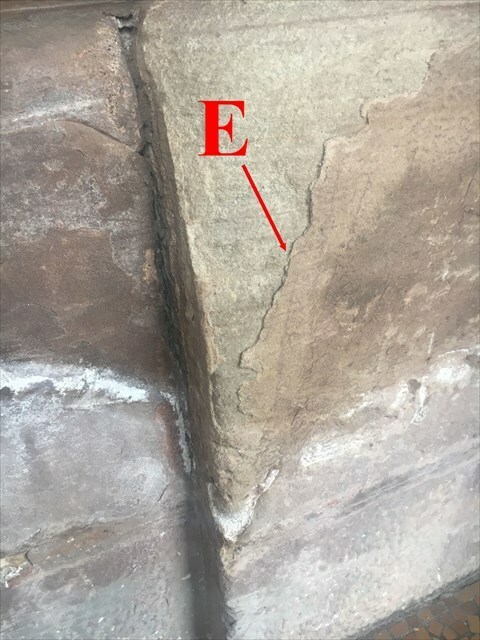 The red sandstones reflect a detrital continental facies, more or less coarse, generally belonging to the post-orogenic sediments grouped under the name of "molasses". 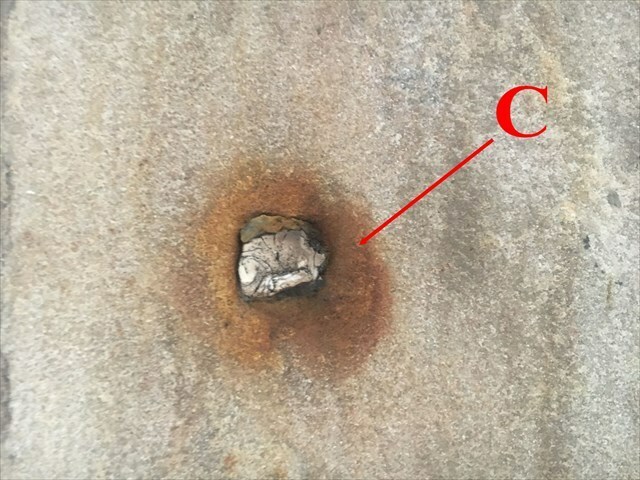 They hold their red color of iron oxides, sometimes associated with oxides of manganese, elaborated by pedogenesis of lateritic type or "cuirassage" type, frequent in intertropical environment. star cracking that results from the corrosion of staples and studs. of the detachment or of the squamation in plate, when the latter reproduces the pattern of the stone, parallel to its surface. 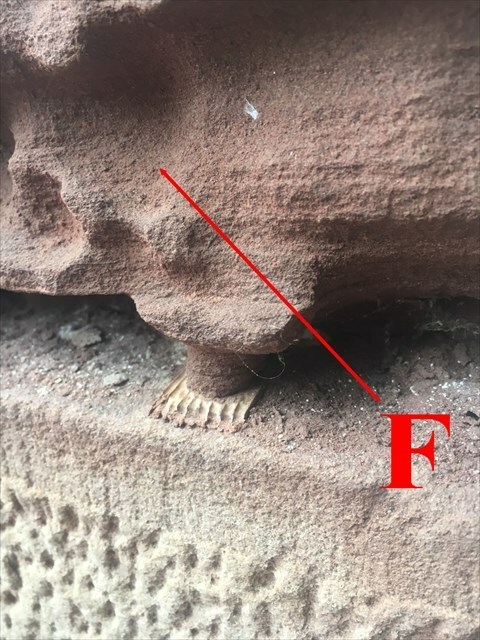 the subflorescences (crystals of salts beneath the surface of the stone). 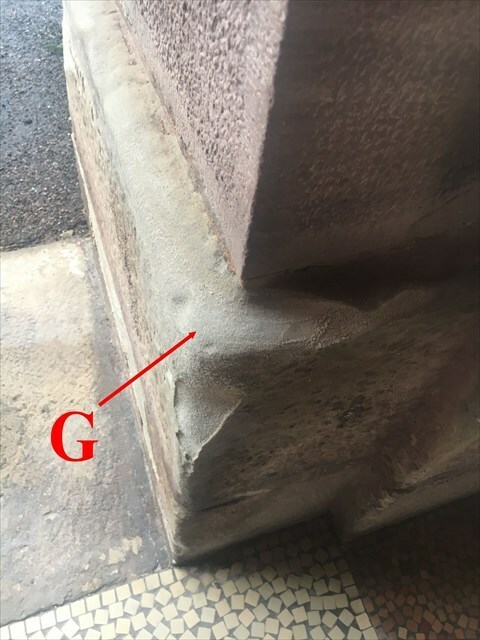 Question n°2 How many great types of sandstone alteration do you know? 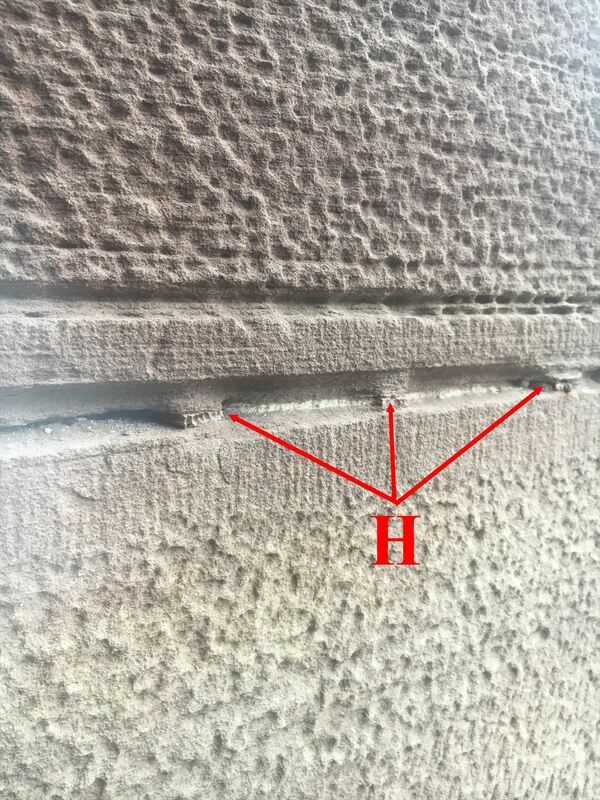 Question n°3 At the level of the panel (WP1): What are the thermal springs coming out of the cracks? What have the Romans perfected? Question n°4 In the main gallery of the building (WP2), you can see a real catalog of degradations. Define each one from A to G and justify your answers. Question n°5 For alterations "H", give an hypothesis that could explain the phenomenon of difference of alteration on both sides of the wood.